There is a fear so fierce and so powerful that it crushes dreams, goals, fun and happiness all in one single swoop. It tried to defeat me. It lost. Of course I am! But I can’t allow it to stop me. Maybe you forgot… I started running and biking and swimming for a reason… for A CAUSE (#mimismiles). And I made a promise that as long as I could, I wouldn’t stop until a cure for cancer was accessible and affordable to anyone who had it. We’re not there yet so I cannot stop. Then I would hope that my community would rise up FOR me and finish what I started. Our driving behaviors MUST change. My mission to find a cure/treatment that is accessible and affordable for everyone is closer than ever before. I would hope that we wouldn’t let that opportunity slip between our fingers. I disagree. They will … WE WILL.. if the laws set in place are ENFORCED. They will if we keep talking about it and especially if WE SET THE EXAMPLE. Of course there will always be those few people who refuse to do the right thing because they’re rebels or cool like that… or just plain selfish, stupid, etc. BUT the majority will change if we all do this together. And here’s something… how about unified bicycle laws? This morning, while driving my son to school, my phone went off 7 times. I naturally looked over to take a peek and it took effort NOT to pick it up… BUT I LEFT IT ALONE. There’s a time and a place for everything. Clearly, I have learned that this was NOT the time to pick up the phone. It’s more important to be a mother, a driver and be responsible for my children and those driving around me. Someone’s text is NOT more important than someone else’s life. What? Oh… ya, I should repeat that. Hold on a sec. SOMEONE’S TEXT IS NOT MORE IMPORTANT THAN SOMEONE ELSE’S LIFE. Just to make sure, why don’t we all re-read that one more time. Then we have a lot of teaching to do. See, just like you wouldn’t wear soccer cleats to go bowling, or you wouldn’t call your car mechanic for answers to brain surgery… you don’t take a ROAD bike to a park. Well, technically, you could do all of these… but it won’t be the best outcome. The silver lining that has made itself clearly visible to ALL of us is that we all need to make drastic changes in our lives. We all need to make sure we know our laws, OBEY these laws and respect life the way we were meant to. The community that I live in has been labeled the fattest area in the nation and the scariest place to live in the nation. But what has NOT been talked about YET is the uprising of our citizens to make fitness a priority and with that we are becoming more active, fitter, and healthier… and because of that, we are spending more time outside in the public and we are reclaiming our community with pride. I was scared when I graduated. I was scared when I drove up into the parking lot of the very first job I had. I was scared when I got married. 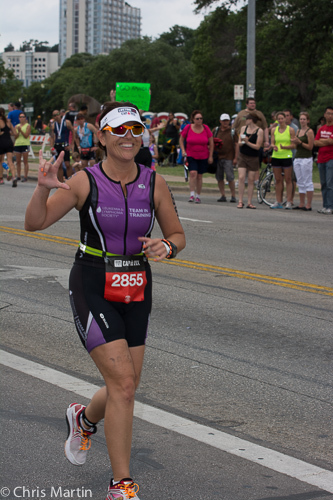 I was scared when I was pregnant and the doctor said “It’s time.” I was scared when I did my very first event, LiveSTRONG. I was scared when my mom died. Millions of people have experienced the same fear I had at all these times I listed and continued to move forward. Fear didn’t deter me from what I was supposed to do then. Why would it now? People who still don’t care. I looked at her and said “No, I don’t think I’m ok.” I had a HUGE head ache but thought it was just emotional stress from the weeks before all piling up on me. You know.. Donny’s death anniversary, Momma’s death anniversary, Easter and the lack of celebration of it, taxes, my son going to the Navy, and Eddie’s tragic and sudden death… it was a lot. But it seems that I caught something and combined with all the above, my body just shut down. I went into a screeching halt and have been like this for several days. I was looking forward to doing the very last time trial on Sunday but unfortunately, I got worse on that day and stayed in. I knew better than to think I could go full force with congestion and in the state of weakness I was in. Even with my absence, I was shocked when I saw the post on my wall saying I had podiumed!!! Yet another sign that it’s not about the time or the medals but about what I’m doing for myself and for others. Eddie wrote this in his blog: There is a willful species in the world that carries with it nothing more than a simple code of ethic. It is true of every single one in this species, persistence! You will never keep a cyclist down, you will never break the bonds that are established in our crazy little groups of suffering, you will never dull down the sharpness of our camaraderie, you will never break our spirit, you will never beat us, we always win! Thursday, April 24, 2014, exactly one week – almost to the minute – of Eddie Arguelles’ fatal hit-and-run, hundreds of cyclists, close friends, co-workers and family gathered at Starbucks in solidarity for Eddie, showed support for the cycling community, and collectively gathered to discuss what can be done to minimize the number of auto/cycling/pedestrian incidents in the Rio Grande Valley. We finished the ride that Eddie wasn’t allowed to. And we did so with a little underlying fear inside a good number of us, with a whole lot of pride in all of us and reflecting upon all the wonderful memories that we shared with Eddie. I watched in awe as the crowd of supporting cyclists grew and grew and grew. I have to admit that I giggled to myself for just a bit as I remembered the term “militant cyclists” that was used the day before in a response to the letter to the editor in a local paper. “Is this what he meant by ‘militant cyclists’?” I asked myself as I witnessed each rider hug and console each other with invigorating calmness. No, we are NOT militant cyclists. But we certainly are NOT pushovers either. For decades I remember the Valley being labeled as backwards and ignorant and uneducated and lazy. Now, I find myself in the midst of community evolution. A horrific tragedy happened and we have all learned from it and are carefully and quietly and intelligently discussing methods of change, playing devil’s advocate and observing all sides of the issue. This is what gives me hope. And we all know what happens to those who do not change. And change IS happening. We are now more forward thinking, intelligent, highly education and active in lifestyle and community than ever before. Sure… there are still those who do nothing else but hangout in the neighbors garage and float a keg, smoke some weed, and have nothing productive to offer the world. But that doesn’t mean that this latter population is the majority. Clearly by the responses published here (on the link below), the ignorant WILL NO longer be ignorant to the issue. The 5AM Wake Up Riders efficiently and effectively organized THE most mesmerizing bike rides of our life time. We all met together once but discussed details as they developed on almost an hourly basis over the last week via group text and resulted in a fine tuned event with a very loud message. I arrived to the ride a little early to the Thursday ride, just as I did last week and waited in my car until about 4:20a.m. This is my speculation but I’m pretty sure that after learning the details of Eddie’s hit and run, he was hit right about this time exactly one week ago from that moment. I took that time to reminisce and be grateful for all that I had and had been given. Because of the large number of cyclists that were predicted to come, we were directed to the Lowe’s parking lot next door as to not over crowd the Starbucks parking lot where we all normally gathered as the starting point for our ride. I unloaded my embarrassingly dirty orange “Mimi” bike, I was immediately greeted and blessed by Big John, the same man who greeted and blessed me at my very first bike ride event ever… Arbor Day 2012. That was a great sign. I took a good look around. Wow! So many cyclists! This early in the morning??? We must be nuts! Nah, we must have all been really touched by this man to all be up this early in the morning and not filled with anger but actually overflowing with love and respect. I made my way through the crowd from Lowes to the entrance of Starbucks. I leaned my bike against the wrought iron fence and immediately began scanning the area for the best light and angle to capture the moment and the enormous crowd. “Are you preparing for the selfie?” someone asked. “Yes, yes I am.” I replied. This one was going to go down in the history books. I had to get it right… for Eddie. I couldn’t let the light hearted part of the ride disappear because someone took Eddie from us. His light hearted humor must remain and this was the only way I knew how to keep it there. “Andale Myssie!!! We’re waiting for the selfie!! !” he would yell at me jokingly. I had to get it right. Andale. I was given the bullhorn and Monette, Eddie’s widow, took the speaker. I watched and listened in pure awe as she gracefully thanked the crowd for their support. Her voice cracked and her lips quivered but her eyes looked straight into the hearts of the cyclists in front of her. Her strength and bravery and stoic beauty was enchanting. I stood by her, completely still unable to breathe, holding the bullhorn with tears gushing and mocos running out of my nose so very thankful that all the cameras were BEHIND me unable to capture me in the emotional state I was in (or so I thought). Eddie Palacios led us in prayer for safety and thanks for all our blessings and then Mike Padgett announced the 5AM Group expectations and safety reminders. He went over the course route and then the floodgates opened when he read us a quote from Eddie Arguelles’ blog. (I posted it above) And even the President of the University came and spoke to the group. And then it was my turn… I felt my throat immediately go dry. I had explained to the crowd that Eddie had me take silly selfies of him and I and anyone else who rode with us that day after every ride… and I wasn’t about to break that tradition that he and I enjoyed. However, I did add something new, a little bit of me and my Momma. I asked the crowd to do two selfies. One of all of them just being normal and the second with their hands raised up in the air with the hand signal that says “I love you” to Eddie. AND THEY ALL DID. And then we all rode off… together. The sight in front of me was nothing short of spectacular. From Highway 107 (aka University Drive) all the way South on Jackson Road to FM495… pretty much as far as the eye could see were flashing red lights of bicycles, two by two, all along the bike lane for miles upon miles in the velvet black of night. Three cities, three police departments, almost three hundred cyclists (the numbers are still in question) united together for Eddie, for what he loved to do, for what he wanted his family to do, for what he had hopes of his community embracing… for the love and benefits of cycling. The community has spoken. And the conversation has just begun. About a year ago, I had posted that I was warned about the various bike gangs and how territorial they were about their members, their distances, their paces, their bikes… and I admit I saw it then… but not on that morning. There were no gangs. There was only a “species”. The one species that Eddie spoke of in his quote. I find myself now in the beginnings of an enormous wave of change. It will anger some. It will empower many. It will be necessary or it will be our own fault for allowing our world to morph into IDIOCRACY (yes, just like the movie). It was June 25th, 2013, at about 4:45 in the morning in a dark parking lot on the corner of Jackson Rd and Sprague in Edinburg that I had my first real welcoming to the 5am Wake Up Riders. I had been riding my bike for just a few months prior to that but this was the morning when I had announced to the group that I would be riding up the mountains of Nevada 5,000 feet as a challenge to raise money and awareness for cancer in my mother’s memory. “Do you have the course and elevation?” one of the riders asked. “Oh ya sure! Here, it’s on my phone.” I replied and showed them with pride the steep incline and decline on a photo in my phone. I swear each of them took a step back and gave me the now coined “look”. I knew they thought I was crazy but they NEVER told me that I couldn’t do it nor insinuated that it was impossible with my background (or lack of) or in this timeframe that I had. This group was unique. Now, not to take away from the other cycling groups around town because there are lots… but the other groups who also had experienced, competitive cyclists never really greeted me with welcomed camaraderie. In fact, I witnessed quite a few noses stuck up in the air when I came around their group rides. Regardless, I always smiled to them when I wasn’t scared to death. The 5am’ers never left my side. When it got to the point when I needed to reach 60, 70, 80 mile rides… they were always there for me right alongside me regardless of what ever they were personally training for. Tuesdays and Thursdays were for either recovery rides or sprinting intervals and weekend rides were for long distances. So by August 20, I had already become coffee buddies with Eddie. I hadn’t had a lot of sleep the night before and was a complete zombie. I just honestly was NOT in the mood to be out riding… but I did it. Before every ride, the gang always asks each other what ride we are all doing so that we can partner up and ride in groups. Some of us, depending on training and events, need longer faster rides, some of us need shorter slower rides and some of us just need the fastest point between “A” and coffee. Eddie and I were in that last group. “Which ride are you doing? The air port? The long ride? Or the short ride?” I respond “I’m riding to Starbucks” click click — at 5AM Wake-Up Ride. That morning I was so out of it that I forgot my ATM card and Eddie actually bought me my coffee. We took our time and sipped our coffee in bliss and because of that, it ended up being Eddie and I by ourselves riding back. We returned going North on 10th from Starbucks and turning right on Sprague instead of continuing North to 107 and looping to Jackson because we both needed to get back in time to take the kiddos to school. I’ll never forget that conversation we had in the darkness of Sprague Street. “So what’s the deal with Billy? Is he seeing that friend of yours? Are they dating?” he asked. “Yes! And it kind of caught me a little off guard, too!” I replied. *We were always playing cupid. “Well, because I had been trying to set up Wally with a friend of mine that I was running with, Laura, but she had just reconnected with an ex-boyfriend, and then I tried to set him up with Alex but then out of the blue.. here comes Billy! !” and during my conversation I had lifted up my arms because I tend to talk with my hands and he started laughing hysterically. “You just lifted your hands from the handle bars!!! !” he exclaimed with pride!!! “Do it again!! !” he egged me on and let go of his handle bars clapping. “Well I’m glad that Billy is happy. But what about Wally now?” he said. “I don’t know. My poor mijito. He’s such a good kid.” I replied. It was at that moment that I realized we shared a trait that extended beyond coffee and beyond bikes. We shared an extremely protective nature of our friends. We were both mother hens and he saw exactly the same thing that I saw with our dear cycling guru, Wally. Last Thursday, I sat with Eddie at Starbucks after our ride and beamed with pride as I was able to share with him an instagram photo of two bikes together in the park. I coyly showed him the bike owners photo… and sat back for his reaction. “Dude! You need to set the rest of these kids up now!” he said in a tone that contained approval, disbelief and giggles all at the same time. On Thursday, April 17th, I could not wait for coffee and chit chat with Eddie as the new couple told me they “made it official” and shared with me a photo of themselves together. I had it ready to show Eddie because he was right. Wally really did fall hard for her. I think she’s the one for him. Eddie Arguelles was my coffee buddy, my long ride comedian, my chisme comadre. I would not have made my training for my century ride without him always by my side. He taught me how to change gears correctly, how to master the starbucks order and how to pucker for selfies. I am overcome with grief. 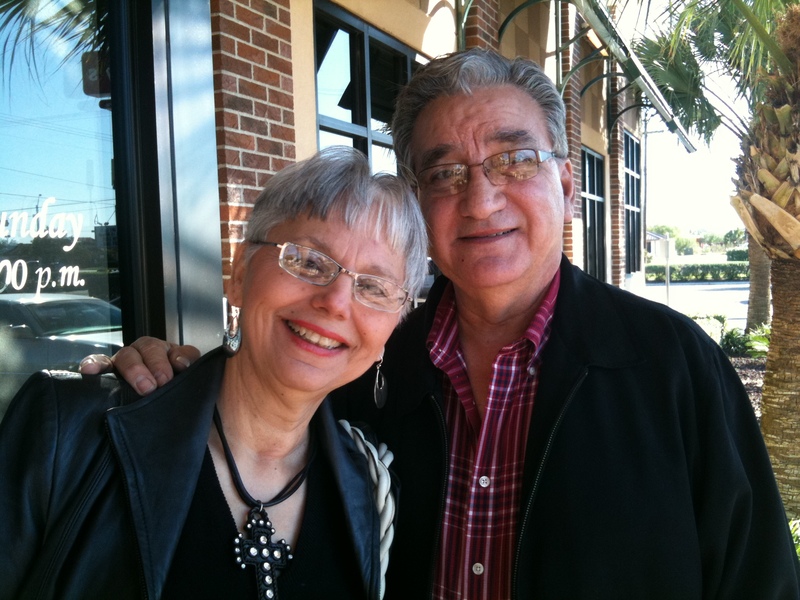 God be with Monette Escaname-Arguelles and their family. Please know that we all loved him so very much. I attended the arraignment hearing for the two boys that killed Eddie. It was a packed house filled and overflowing into the hallway and parking lot with supporters and fellow cyclists uniting together for a change in our community streets. Eddie lost his uncle just a few years ago in the exact same manner… a drunk driver killed his uncle while he was riding his bike. Three people just this month lost their lives on bicycles in Hidalgo County. The problem that is blatantly in front of all our eyes is that we have a serious driving problem. Distracted driving, texting and driving, drinking and driving, drunk driving, drugged driving… it goes on and on. Our problem is way beyond sharing the road. Our problem is our own self-centered thinking that because of our safe cars that we drive in every day, we think we are invincible and do whatever we please because… well, what we’re doing at that very moment is more important than what ever anyone else is doing… or who anyone else is. I CAN SAY THIS BECAUSE I AM GUILTY OF FEELING THIS WAY AND TEXTING AND DRIVING OR PUTTING MAKE UP ON WHILE DRIVING OR DRINKING COFFEE AND DRIVING… but I’ve never done drugs and drove and I’ve never had a DUI or DWI… but I’m not like most people. I have had six automobile accidents in my lifetime. Four of them were caused by drunk drivers. None of the accidents were my fault. But I’m not like most people. As the news of Eddie’s tragic loss flew across all platforms of social media, I was taken aback by G.J. Reyna’s quote: “There are two types riders, those that have gone down and those that will.” But I’m not like most people. I have not gone down nor do I want or accept that I will be. It is ridiculous that cyclists, or runners (because when I was a single sport athlete, many runners were hit by cars as well), must not only be out of breath because of their tough workouts but they must also accept that at any random time a distracted driver can get away with taking their life. On Saturday morning, I admit that I was not able to get back on my bike. I allowed fear to deter me from the joy that cycling gave me that was once shared with Eddie and the cause that I promised my mother I would not break. After Ramon said his traditional riders prayer, I asked the group to do the biggest “selfie” I’ve ever attempted. It was a comical tradition that Eddie had me start. And I was successful. Eddie always had me do a 5am “selfie”. I couldn’t break tradition. Especially for him. This is by far the LARGEST selfie I have ever done!!! I wrapped the arms of a hundred cyclists with bright yellow bands and the newbie TNT cyclists that Eddie looked over each Tuesday and Thursday morning with yellow roses and I rode in the SAG vehicle that followed the group that eventually broke up into various speeds along Jackson Road. The “short loop” was officially renamed “Eddie’s Coffee loop” that day. I yelled for the first time to my fellow cyclists to make sure that they kept their lines so that crazy distracted speeding drivers wouldn’t take another cyclist friend of mine away from me. I felt guilty for doing that. And THAT was what hit me hardest… the realization that each of these riders around me do something that they love so much that they know each time they mount their bike, it could be the last time. And they do it anyway. They know the risk is sky high and they do it anyway. They know there is little that can be done in the society that we live in today and they do it anyway. Well, I CANNOT ALLOW THIS TO HAPPEN ANY LONGER! Eddie was just as much a mother hen as I am and I know he’d back me up. But I cannot allow Mike Padgett or any other of my friends or myself to die on a bike without a fight, without a plea for help from my fellow citizens, without begging to please please please make a change. Put down the cell phone. Don’t drink as much as you do… and if you can’t stop drinking or drugging, call a cab or a friend who is not under the influence and in the morning, please, seek help. I beg you, please, learn the laws of our shared roads. Some of those turning lanes that you’ve been using or parking in are actually bike lanes and if your F-350 is blocking a cyclist from using it, you’re forcing them to go into the major traffic lanes and endanger their lives. Please don’t think that your life is more important than theirs. We are all equal. And the same goes to cyclists. PLEASE follow road rules. I’m going to end this long rant with the words from fellow 2-wheeled amigos who at this moment seem to have been able to capture the right thoughts with the right words and not place anger and emotion into them. G.J. Reyna: This is a serious problem. It makes no difference what you ride, 2 Wheels are 2 Wheels! Motorcycles or Bicycles we ALL need to do more! Public Awareness is our only tool to make this happen. We need radio, print, tv and ALL forms of socialmedia. Myssie Cardenas-Barajas is on the right track. Problem is that this will take “everybody” all the time to stay focused and not just one person and not just when we loose and friend or family member. Are YOU really going to wait until it hits home. Keep in mind people, NO ONE is immune to this. Every time you jump on your type of two wheels, make sure your lives are in order because it may be your last ride. In our motorcycle world we have a saying or a creed and it goes “There are two types riders, those that have gone down and those that will.” If you dont believe this then you really have no business riding. These accidents will never ever stop but we can all do our part to make sure these lost lives are not in vain by limiting them through public awareness. I found a message today by Dan Santella, one of the local Monitor reporters, asking me about Eddie. I saw his request too late but it made me want to sit down and write about Eddie because so many people have only heard a headline or listened or viewed a sound byte. I have known Eddie since I was a freshman in high school. In these 24 years, I have had a few observations. 1. Eddie was ridiculous. He made everyone laugh. Often times at his own expense. That was part of his charm. He wanted people to feel good about themselves even it meant being ridiculous. Once he became a father and a step father, this was taken to a whole different level. Whether it meant having his nails painted or getting down on all fours to play with his son, he did it. 2. Eddie was not always an avid sports enthusiast. Matter of fact, for a long while Eddie hated even the suggestion of exercise. PE was definitely not his favorite subject. But when he began riding and became part of the community, the change was astonishing. 3. Eddie collected hobbies unlike anyone I know. AND there was no in between for him. If he was going to do something, he was going to go all in which meant buying all of the necessities and gadgets he could. Surfing, woodworking, biking, computers, cooking, motorcycling…he was all in. And that ridiculous man was good at it all. 4. Eddie was a musician and a writer. Therefore, Eddie loved and lived life with passion. He embraced tragedy and questioned love like only a musician/poet can. He loved music and books in their purest and rawest form: dirty because of the misplaced emotion and rough like the women the music described. Boleros, ballads, heavy metal, his tastes were as eclectic as his hobbies; his reading ranged from Kant to Herman Hesse. It seemed only fitting that he passed the day Gabriel Garcia Marquez died. I imagine them now discussing philosophy, and music over a coffee and a cigar. 5. Eddie was a photographer. He didn’t advertise this as much as he should have but Eddie would take wonderful photos. He had the eye for the unusual and the beautiful. His favorite subject that shadows all of the beautiful images are the images of roadkill that he collected on riding trips.6. Eddie was a philosopher. His love of philosophy was rooted in music because with music he was able to meet and talk to people in a laid back manner, a perfect setting for a philosopher. We had many late night conversations about the existence of God and man’s search for meaning. He read Nietzsche (for awhile there he was a bit too obsessed with him) and Kant and could argue like the greats. His uncle Juan fed his lust for knowledge and understanding but Eddie never let one person be the source for him. Everyone gave Eddie insight. That was why so many people were drawn to him. He listened and engaged. 7. Eddie should have been a professor though the piece of paper really would not have made a difference. Eddie was already a teacher and a professor. He helped everyone he came in contact with. There are generations of people, young and old who can easily tell you about the great lecturer that Eddie had become. That is why there are so many people who light up when you ask them to talk about Eddie Arguelles. 8. Eddie was the greatest cheerleader you could ever ask for in a friend. Eddie was the type of guy who would ride along side you and make sure you could make the next mile then ride ahead just so he could be there for you at the finish line. He wanted everyone to succeed even if he couldn’t. This applies not only to sports but education and community as well. 9. Eddie’s loyalty was legendary. If you messed with anyone Eddie loved, you messed with him. And he took his friendships seriously. There is nothing Eddie would not do for a friend. He loved like only a strong man can. He cared for his friends to the point of being so angry at their self destruction that he would cut them off hoping they would realize their faults. It worked most of the time because to disappoint Eddie was like making your superhero cry. The thought itself demanded reform. And that is how Eddie saved so many from the dark side. 10. Eddie was not perfect. His was a journey to become the man everyone is now talking about. For years he didn’t see how important he was and, honestly, there were a lot of people who didn’t see it either. He used his hobbies as ways to develop himself. With surfing, he developed his love of nature, with woodworking he developed patience and attention to detail, computers taught him to be analytic, music put him in touch with his roots and allowed him to see love even in the sadness of breakups and death, music also made him a romantic and gave him the confidence to sing in front of a crowd, philosophy honed his intellect and developed his thirst for knowledge, motorcycles fed his lust for living on the edge then, when he took to cruising, he learned art of zen; bicycling gave Eddie more than a philosophy, it gave Eddie desire, it fed his competitive spirit, it gave him a community and a family, and finally, it taught him that with his mind he could surpass his pain and finish the distance. But when he met Monette and gained a Skylar as his step daughter then when they had his son, his life became complete. He always wanted to be the type of father who would always be there for his kids, who would love them so completely that they would never want for anything. And he wanted to love someone with all of his soul, someone who was his intellectual and spiritual equal not his arm candy or someone he felt obligated to be with. Eddie was the father and the husband that he wanted to be and he did both more passionately and perfectly than even he could imagine. There is a serious WRONG in our community. It will either become more acceptable from us and get worse OR our community will rise up and do something about it and minimize it. It’s one or the other. By staying silent and oblivious to the issue makes you part of the problem. Ignorance is no excuse. Our community’s driving behaviors MUST change. Eddie was the biggest cycling safety advocate I knew. But all of his skills and experience was no match for an intoxicated driver. In fact… None of us are a match for an intoxicated driver. Especially if that intoxicated driver is willing to hide the life he took. Yesterday, I awoke at about 2:30a.m. and could not go back to sleep. I figured I would go a little early to my Thursday morning ride with the 5am Wake Up Riders. I live in McAllen and because I usually have to take the boys to school in the mornings, I take my car with my bike on the rack to the Starbucks in Edinburg (one town away) so that I can return from the ride in time for getting the boys dressed, fed and to school. Lots of the other members ride their bikes to the launch site either because they love to ride and any excuse is good enough, we all live so close by, it’s an easy commute or its a great way to add some more mileage to the morning route. I arrived at Starbucks at about 4:10 and stayed in the parking lot until the rest of the riders came in. But I had this ugly feeling. I got out of my car and saw a police car zoom by and went South on Jackson… a couple minutes later.. two more come from another area and go South on 10th… that’s when I knew something awful had happened. But I didn’t know what it was… yet. The group gathered up right at 5:00 a.m. It was a good sized group, enough for three different groups of speeds and distances. Ramon led us in our safety and grateful prayer and the only thing I remember of it was when he said to keep Eddie Arguelles in our prayers as he was in an accident that morning but didn’t have details. My head popped up. I knew then something awful had happened to my friend. Ramon, the fearless leader of the 5am’ers is the type that is super calm, poised and held together in any type of stressful situation so even though he was unusually quiet… he led us all on the ride. But still something told me that he was just as worried as I was. As usual… I took my place at the back of the pack to check out who was the last rider and who would need that extra help along the way… but something was still telling me that something wasn’t right. At the first light along the course, I had to do anything I could to speed us up and find out what happened to Eddie. I jumped up to the lead of the group and pulled so that I could increase the pace and speed us up. That worked for a little while but Mel sprinted up to me and told me to slow down the pace because a rider in the back couldn’t keep up. I understood and slowed down the pace… but I was aching so badly to just get back quick. Once we got to 10th street, most of the gang understands that I do my sprint intervals so I took that opportunity and went as fast as I could. I felt Ronnie behind me so I slowed down a bit to make it seem like this was normal practice and I really wasn’t freaking out… but I was. What??? What did he mean “can’t find him”???? If he was hit, and his bike was there, why wasn’t he there? Deep down, I knew what had happened… but I couldn’t think that. Nahhhh. That couldn’t happen. I left my cyclists friends that morning with a feeling that was eerily dark. Something very very evil had just happened. I cannot recount here what happened to Eddie. It is much too disgusting for my heart to bear. I will post links to what the media is announcing though. EDITORIAL: Valley cyclists fatally hit – The Monitor: News. What I WILL do is promise to keep posting the media coverage for my online cycling and triathlon community to witness, swallow and light that fire that DOES SOMETHING ABOUT THIS OUTRAGEOUS SENSELESS COLD ACT. What I WILL do is tell the story of how Eddie helped me train for the second point of my triple crown without ever riding a road bike before in my life. I will also tell how Eddie helped my hometown create box corners for cyclists and safer designated bike routes all over town and the county. I will also SHOW how Eddie was a great friend and how we always had coffee together after every ride and sometimes even during a ride. I will also tell how Eddie was one of the most experienced cyclists in South Texas, how he was one of the biggest safety advocates in the region regarding cycling, how he loved to bar-b-que, was a hilarious comedian, a brilliant IT nerd, and best of all… a great family man of high morals and ethic. But that’ll be on my next post. I am way too emotional for that at this moment. Can’t stop thinking about our fellow cyclist who passed away yesterday. Can’t stop thinking of him. your on my constant thoughts. I am a cyclist. I get on my bike and go for short rides and long rides out of the Valley and back solo unsupported.. So ?? what is it about a guy, or gal, on their bike that causes so much aggravation to people who drive cars? Is it because we look different? I wear a helmet. I don’t have a couple of thousand pounds of a metal shell protecting me. I wear tight shorts with padding in the seat. Why? Because it make the activity more comfortable and it’s hard enough to fight through the wind without baggy shorts flapping around. I wear gloves. Ever taken a fall at 20 miles an hour? The first thing that happens is you put your hand out to cushion the impact. Know how long it takes for road rash to heal on the palm of your hand? A long time. And it hurts. I wear sunglasses just like you. You wear them to keep the sun out of your eyes and to look cool. I wear them to keep the sun out of my eyes, to look cool and to keep debris out of my eyes. The problem is, if I’m not perfect I pay for it with my life. If you aren’t perfect, I pay for it with my life. It doesn’t matter if you are right or I am wrong, or I am right and you are wrong, when it comes to sharing the road, the cyclist always, always, always loses. Always. And for those drivers who drive by at a reasonable speed and distance, who give a little wave and maybe a little knowing smile: It does not go unappreciated or unnoticed. “THANK YOU,” Believe me, we see and notice everything!!.. I was going back over my memory of CapTexTri from last year and then googled it to see what others had recorded from it just to make sure that I hadn’t missed something that others experienced. I found a news site that had a gallery of photos in a slide show that was pretty much in chronological order from start to finish. Seriously cool how I burst out into laughter as I saw myself on there!!! I had no clue I was in that slideshow. And it was perfect too because I had just talked to the TEAM about how important it was to me to always be caught smiling no matter how bad my body was hurting because my Momma never showed pain or fear to the world during her treatments – although I’m sure she was plenty scared and in more pain than I could ever imagine. This hasn’t been an easy road. Certainly not filled with rainbows and butterflies!!! Each day brings me face to face with people who scoff at my actions and even more who get a sick thrill to stab my back… but all of this has made me stronger. I may not be where I want to be but I’m much further away from where I hated to be. I pray that this journey will lead me to where it is that I SHOULD be and I have faith that it will. What I do know from experience is that no success that has value was ever earned without sacrifice and hardship. I shared with you this last weekend’s “hero” reference and what it meant to me. I remember naively saying to myself that nothing could top that… oh boy, was I wrong. On Monday, shortly after I picked up my little boy from school, we went immediately to Barnes and Noble bookstore to get a book so that he could work on his project. While walking the aisles of the store, he pointed to a journal. “Wow! That’s cool! Who do you want to get this for?” I asked. Thank you. Thank you, God. Because at that moment in that store holding my hand, he looked at me the exact same way I looked at my Momma. She is the real Super Hero. If you feel that I am a hero or hear someone call me one, it is because you can see her in my eyes, in my heart and in my soul. And this is how I know she will always live in me. She didn’t want people to pity her because of all she had been going through. She wanted to give them HOPE. And she’s probably going to be really upset that I’m including this in my blog for every Joe Blow in the whole wide world to read… but what very few people knew was that even after agreeing to go through experimental chemo cocktails with no success, shortly before she passed away, Sissy donated her body to science with hope that she would somehow still be able to help the world find a cure for cancer. Somewhere out here in our world, right this very minute, there is a scientist out here closer to a cure because his or her medical journal has the results of a test that told the world that her body responded either negatively or positively to and gave that staff more insight because of her selfless choice. To me, that’s a real hero. Somewhere out here in this world, there’s a little bit of Sissy that still looks out for us. Somewhere out here in our world, there are two precious boys (Nico and Sammy)who are likely going through those awkward growing up phases that boys go through – the time that I remember Donny the most (his awkward stage). Donny loved those two boys so much, more than anything in the world! Life just dealt Donny too much at one time and he had a bad habit of locking up all his worries inside his head and he never coped with those pressures in a healthy way. With Momma and Sissy at MD Anderson with cancer, losing his pharmaceutical sales job, going through a divorce and dealing with debt growing at an exponential rate because of excessive shopping habits and worst of all… the emotional stress that all this did to him, I’m very happy that he prepared to take care of his boys after his death. To me, with all that he had to endure and still come out with his legacies taken care of, that’s a real hero. And here… right here, I am challenged to push my body and mind to exceed limits I never knew existed. I am constantly questioning myself with “Is this how Momma would have done this?” It is now my responsibility to make sure I live out the rest of my life the way Momma taught me to. I hear her voice echo in my head over and over “el flojo trabaja doble”, “the early bird gets the worm” and “the squeaky wheel gets the grease”. You see, when I was young, I was quiet and shy and very insecure with just a handful of close friends. I was a quirky introvert… just like my dad. But I wanted soooo much to be more like my Momma. She was awesome! She was cool! She was beautiful! She was talented! She was smart! She was popular! She could do anything! Anything!!! She loved her family. She worked hard. She played harder. And she was involved in EVERYTHING that was cool in this little community! Ok, let me correct that… she MADE everything that she was involved in super cool!!! Because of this, everyone wanted to be around her because she was just so much fun to be around so all the events and organizations she volunteered for were always successful. So this week as Daddy and I remembered Momma and Donny and Sissy, I was predictably given more signs… and of course… I had to follow. From the flower arrangements I placed at their gravesites, to the Beatles songs that played randomly on the radio, to the movies that popped up on TV, to my two little lovebirds that made it “official” this week, to the contracts that fell through (likely Sissy’s doings since she hated gossip and drama and knew that it would probably blow up in my face later on with them), to the return of peace and love and happiness back into what remains of our little family, to being asked by the Leukemia and Lymphoma Society to lobby for cancer research funding and easier access to affordable treatment for cancer patients in Washington DC in a few weeks, to the odd number of elephant sightings in just one week (Momma collected elephants)… I knew Momma was here… right here by my side still pushing me and triggering that voice in my head guiding every move I made. It was right after our TEAM’s open water swim practice, after I successfully did the group’s Mission Moment without crying (even talking about the anniversary of Momma’s and Donny’s death), when Sarah’s mom, Anita, posted countless photos and videos of the ABSOLUTELY STUNNING LAKE and our group doing a phenomenal job at swimming from dock to dock and then called us all “Super heroes”. To her, I am a hero. Do you have any idea how special that is? To have a little girl who is fighting cancer call you a hero?!?!?! I don’t have words for this feeling. If you knew Sarah and Anita… If you were lucky enough to get one of Sarah’s hugs… and she called you a hero… You’d be speechless, too. These were all pretty good days. It was two years ago today, right this very moment, that I crawled into bed with my Momma, held her hand, smoothed her hair back and whispered into her ear that it was ok to let go of us and stop the pain she was in. I remember hearing what the hospice nurses called the “death rattle”. I was the only one in the room with her in the end. April 8, 2012, Easter Sunday, two years ago today… If you believe in the biblical story of Jesus Christ and know about the time when he began his journey of suffering, of crucifixion and death…it matches exactly the same time frame that Momma followed that day. I truly believe in the deepest part of my heart that she chose that day and that time to join her Lord and Mother Mary for that reason. I wish with all my might I could have faith and strength like hers.